A holiday home next to an organic farm, in a quiet area in Wagrain. The Durchholzhof House is between the well known villages of St. Johann im Pongau and Wagrain. The house is detached and reached by a mountain road. It is at an altitude of 1050 metres where the air feels clear and healthy. The views of the surrounding mountains are superb. There is a spacious holiday home on the second floor. The holiday home's furnishing is well kept and comfortable. The owner's organic farm is next to the house. You can buy a wide range of fresh farm produce. Children will enjoy discovering farm life here, they may even enjoy a donkey ride. 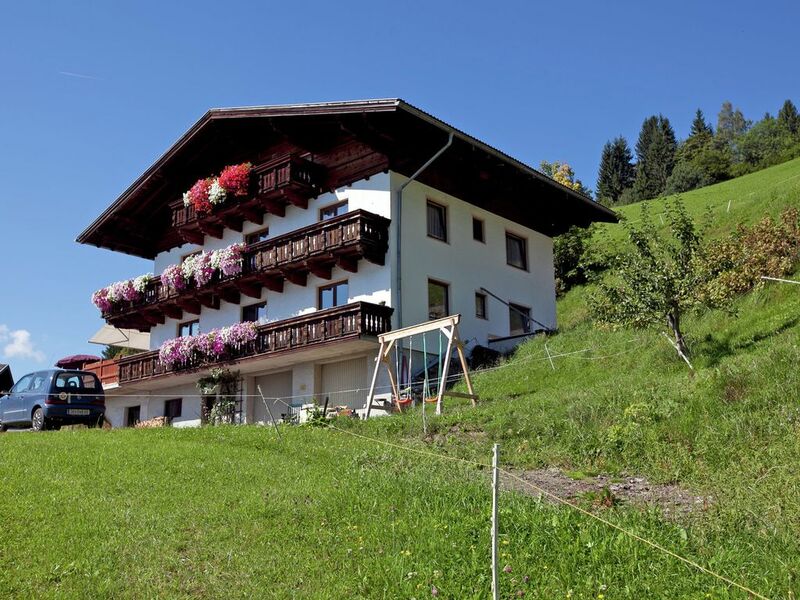 The Durchholzhof House is an ideal address for an enjoyable holiday. We stayed a week in Durchholzhof with 5 adults and 2 children in the May. We had the apartment on the 2nd floor. Large apartment, decor a bit dated, but very cozy and friendly. Nice view from the large balcony. The presence of the cow, donkey and chicken was nice too! Owners were very nice and on our last night we received a Marillen schnapps offered by the owner. Definitely worth coming back. Wir wurden sehr herzlich empfangen, die Unterkunft ist sehr schön und sauber. Die Umgebung sowie die Aussicht von der Terrasse ein Traum. De aankomst was goed. Omgeving prachtig! De accommodatie is vrij basic maar verder goed naar ons zin gehad!